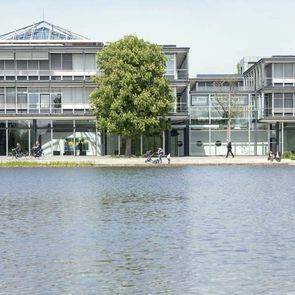 On 12/13 September the core group behind the Transformation Index (BTI) met at Bertelsmann Stiftung’s always impressive Gütersloh headquarters to prepare the new survey wave. BTI is a global expert survey on the quality of democracy, market economy and governance, now in its eighth edition (!) scheduled for publication in 2018. Questionnaires will be sent to country experts at the end of October. The submission of country reports will trigger off an elaborate procedure of reviewing, revising, calibrating, editing and lesson-drawing, keeping us busy throughout the next year. The meeting was a first occasion for Peter Thiery and me to present the draft of a comprehensive paper that situates the concepts guiding the BTI in the scholarly literatures on democratic theory, democratization, policy reform, good governance, economic transformation and aid effectiveness. Our paper also uses unpublished data from the BTI production process to evaluate the validity of the measurement and aggregation techniques underlying the composite indicators in the BTI dataset. Author-reviewer differences are studied across subsequent BTI editions. Various statistical models are constructed to assess the impact of changes among authors, reviewers and coordinators and to compare the effects of different aggregation rules. We plan to complete and publish the paper during the next months.